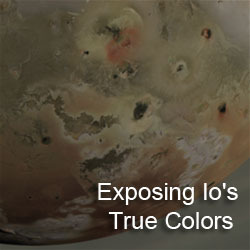 Van Kane, over at the Future Planetary Exploration blog, has posted an excellent overview of the Io Volcano Observer (IVO) mission concept. 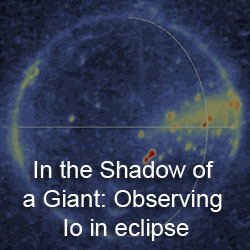 I have covered this proposed Discovery-class mission several times in the past, using info from an abstract and presentation by IVO's Principal Investigator, Alfred McEwen at this year's Lunar and Planetary Laboratory Conference back in May and from an online presentation by one of the instrument Co-I's, Peter Wurz. Kane, in his blog post, took a look at a presentation given at this year's Io Workshop, held at the UC Berkeley last week, given by Alfred McEwen. Among the new details on the proposal include a refinement on the mission profile, with a proposed launch now seen in January 2015 with a Venus-Earth-Earth trajectory to Jupiter. Jupiter Orbit Insertion, including the first Io flyby, would occur in 2021. IVO would be injected into a high-inclination orbit around Jupiter in order to limit the spacecraft's exposure to the planet's radiation belts, thus extending the lifespan of the spacecraft. As previously reported, the initial orbit would be an eccentric, 200-day orbit, which would be reduced in length using later Io flybys. The baseline mission calls for six Io flybys over a 18-month long primary mission, with more flybys in a possible extended mission. The current projected mission cost is $471 million, slightly above the current Discovery mission cost cap of $450 million and also assumes that the ASRG power sources would be provided by NASA. Many of the details of the instruments planned for IVO remain similar to those reported here before. Two magnetometers appears to have replaced the radiation detector in the baseline payload. 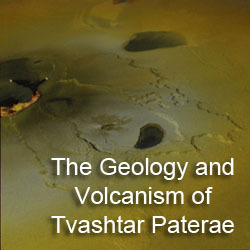 Another Review for "Volcanism on Io"